Prior to joining First Beverage, Townsend spent over 25 years in investment banking and private equity at The First Boston Corporation, Wasserstein Perella & Co., and Wasserstein & Co. 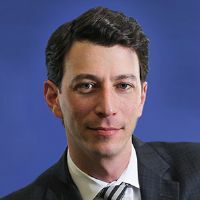 He has completed over $40 billion in mergers and acquisitions advisory assignments, and as a principal investor over 30 private equity investments ranging from leveraged buyouts and growth equity to venture capital. 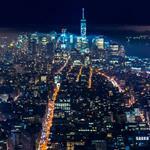 In this capacity, he served on numerous private and public company boards of directors. He is a former Director and Non-Executive Chairman of Imax Corporation, a leading large-screen film projection company, and a former Director of two other public companies: Collins & Aikman Corporation, a $2 billion automotive components company, and Maybelline, Inc., a leading mass market cosmetics manufacturer. He received his B.A. in Economics from Trinity College in 1984 and his M.B.A. from the Stanford School of Business in 1988. 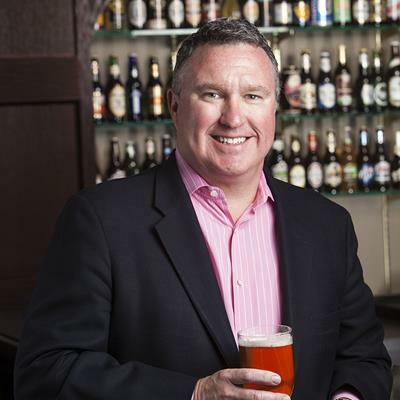 As CEO, craft, Andy Goeler oversees Anheuser-Busch's four craft breweries. Andy brings more than 30 years in the beer business at AB, holding multiple positions within the commercial team - including vice president of import, craft and specialty - and leading brands small and large with his broad experience in sales. 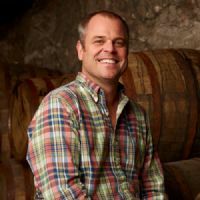 Most recently, Andy held the role of CEO and president, Goose Island, where he led the successful national launch of Goose Island brands. 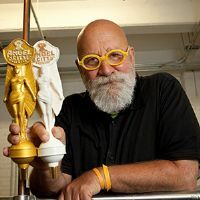 Before the Goose Island partnership in 2011, Andy served on the board of the Craft Brew Alliance - owner of Kona Brewing Company, Redhook Brewery and Widmer Brothers Brewing - giving him great insights into the craft beer segment. Scott heads up Tenth and Blake Beer Company, the Craft and Imports division of MillerCoors. Tenth and Blake features craft beers and ciders from Blue Moon Brewing Company, Jacob Leinenkugel Brewing Company, Crispin Cider Company and AC Golden. Imports include Peroni Nastro Azzurro, Pilsner Urquell and Grolsch. A veteran of more than 33 years in the beer industry, Scott previously was president of Coors Distributing Company in Denver. 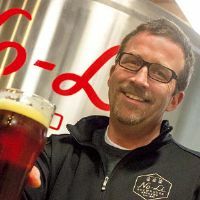 At Coors Distributing Company, Scott gained invaluable experience in growing a diverse portfolio of craft and import brands, including leading brands from Blue Moon Brewing Company and Jacob Leinenkugel Brewing Company. 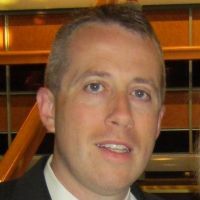 Scott previously held a number of senior roles, including vice president of integration planning at MillerCoors, vice president of global strategy at Molson Coors and chief market development officer at Molson Coors Canada. 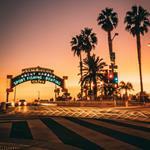 Scott holds an MBA from the University of Colorado and a BA from the University of California - Davis. Cary Greene focuses his practice on food and beverage law, with a particular focus on alcohol beverages. He counsels breweries on a wide range of licensing, operations, distribution, policy and regulatory matters. 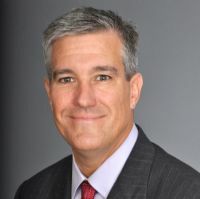 As the former chief operating officer and general counsel to WineAmerica, Cary has substantial experience within the alcohol beverage industry, drafting legislation, setting national policy strategy and agendas, testifying before legislative bodies, and advocating for the interests of American alcohol producers at all levels of government. During his tenure at WineAmerica, Cary worked with distillers and brewers to defeat state and federal legislation that threatened to restrict the sale and distribution of alcohol beverages. 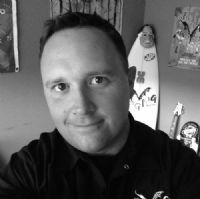 John Bryant is co-founder of No-Li Brewhouse in Spokane, Washington. He has a 25-year industry track record that began at The Rainer Brewery in Seattle, WA. Significant contributions in beer, people and strategy have been the journey. 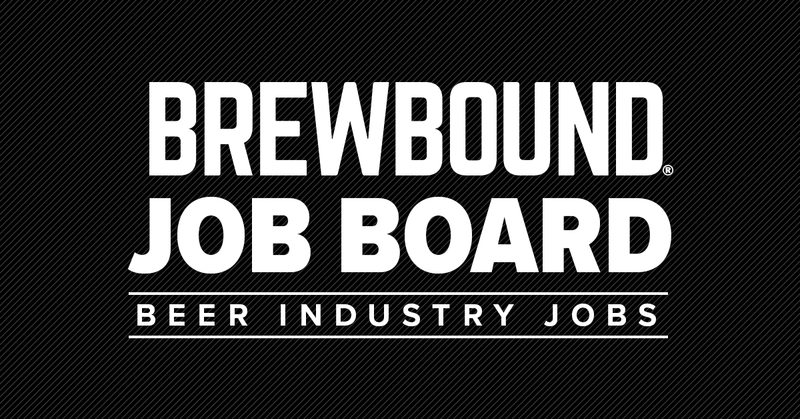 Prior positions include National Brand Manager of Henry Weinhard's, vice president of sales and marketing at Deschutes Brewery, chief operating officer of Odell Brewing, president of Oskar Blues Brewery and co-founder of No-Li Brewhouse. 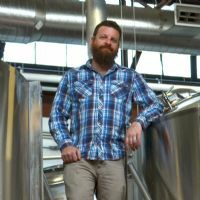 John has served on the Association of Brewers and Brewers Association Board of Directors, received the 2011 Colorado Brewers Guild Directors Award and is President of the Inland N.W. Craft Brewers Association. No-Li Brewhouse is an international award-winning brewery with 14 international medals and a 2012 GABF gold medal. A serial entrepreneur, Alan Newman's craft beer roots date back to 1993 with the launch of Magic Hat Brewing Company. Newman spent over 17 years at the helm of Magic Hat before turning to new opportunities in the industry. Newman brings his entrepreneurial spirit and passion for craft beer to his latest project, Alchemy & Science (A&S). The company is home to four brewery projects, including Traveler Beer Company, Angel City Brewery, Coney Island Brewing and Concrete Beach Brewery, all with a mission to expand the share of the craft beer nationally. 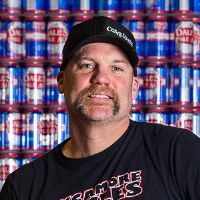 Dale Katechis -- a passionate and engaging person who is fueled by doing things differently -- founded Oskar Blues Brewery in 1997. Since, Oskar Blues has spawned a number of diverse enterprises, including multiple brewpubs, a farm, a non-profit organization, a food truck and even a bicycle company. 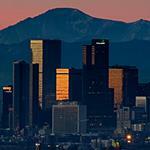 In 2012, Oskar Blues became the first Colorado brewery to open an expansion brewery in the East. In 2014, the Colorado and North Carolina breweries together produced 119,000 barrels, and the brewery was listed as the 24th largest craft brewery in the U.S. When he's not working, Dale spends time with wife and four children. He is an avid mountain biker, and served as president of the Lyons Chamber of Commerce from 1999-2006. Dan has worked at IRI in their Client Insights group for the past 20 years working exclusively with Beverage Alcohol clients. He spent his first seven years at IRI working in Client Insights on the Anheuser-Busch account in various roles. 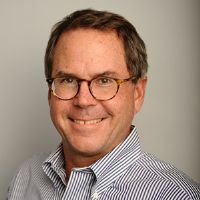 Since co-founding IRI's Beverage Alcohol Client Insights vertical team back in 2002, Dan has spent the past 13 years supporting Constellation Brands, E. & J. Gallo Winery and over 90 other beverage alcohol clients, including all of IRI's Craft Beer clients. In addition to beer suppliers and distributors, Dan and his team work closely with many Beverage Alcohol industry related publications, associations and trade organizations in an effort to advance IRI data as the common syndicated data currency. 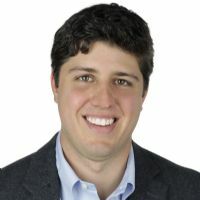 Chief Operating Officer, Drizly Inc.
Cory Rellas is the COO of Drizly, Inc., the technology company powering a superior shopping experience for beer, wine and liquor. Rellas joined Drizly full time in Dec 2013 as its third full-time employee and was instrumental in laying the foundation on how Drizly operates today. Rellas is responsible for crafting Drizly's business strategy, from expansion and strategic partnerships, to fundraising and recruitment of top-tier talent. Under Rellas' direction, Drizly raised $17.8 million in funding, expanded from one to 15 major metropolitan markets, grew from three to 42 full-time employees, and delivered hundreds of thousands of deliveries across the country. Before Drizly, Rellas served as an associate for Sankaty Advisors, the credit affiliate of Bain Capital. While at Sankaty, Rellas focused on high yield and distressed investments as well as working with middle market companies in turnaround and growth situations. A 20-year veteran of policy and political work, Jim McGreevy serves as president and chief executive officer of the Beer Institute, a national trade association representing America's brewers, beer importers and supply-chain partners -- a $246 billion industry which supports nearly two million American jobs. Mr. McGreevy advocates on policy matters involving Congress, state legislatures, courts and regulatory agencies. He also serves as the official spokesman to the media and elsewhere on matters affecting the beer industry. 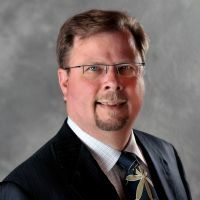 In his capacity as president and CEO, Mr. McGreevy serves on the board of the Techniques for Effective Alcohol Management (TEAM) Coalition. 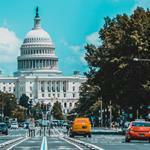 Before joining the Beer Institute, Mr. McGreevy served as senior vice president for government affairs at the American Beverage Association (ABA). McGreevy joined ABA in November 2005 as its vice president for state and local affairs. Prior to ABA, Mr. McGreevy was a senior associate at the Larkin Hoffman Law Firm in Bloomington, Minn., where he represented client interests before the Minnesota Legislature and administrative agencies. 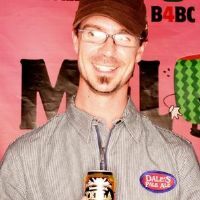 Ben Savage joined Flying Dog in early 2010, and during that time Flying Dog's sales and brand has grown at a record pace. He currently oversees all of the sales and brand marketing efforts for Flying Dog, which covers a market geography of 26 states and 14 countries. With the help of his leadership, Flying Dog has grown to be one of the most popular and recognizable craft beers in the mid-Atlantic and beyond. Prior to joining Flying Dog, Savage held various roles in corporate marketing, advertising, and creative agency positions. He received a dual undergraduate degree in Marketing and Film from the University of Notre Dame, and an MBA in Marketing at Loyola University of Maryland. 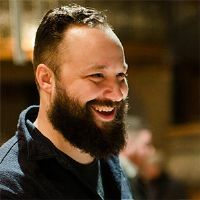 Savage is also the current President of the Brewers Association of Maryland, representing the interests and growth of Maryland's 36 breweries. 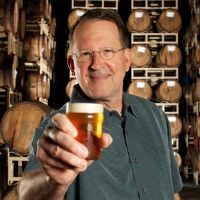 NBWA President & CEO Craig Purser serves as the leading advocate for the 3,300 licensed, independent beer distributors across the country. In this role, Purser is responsible for the strategic development and tactical execution of the Association's mission in the areas of government, public, industry and political affairs.Under Purser's leadership, NBWA worked with a wide variety of stakeholders to help Congress pass the Sober Truth on Preventing Underage Drinking (STOP) Act. A veteran of Capitol Hill and numerous political campaigns, Purser also served on the staff of former U.S. Senator and Assistant Majority Leader Don Nickles (OK) and managed the successful election of U.S. Senator Jim Inhofe (OK). Purser serves as a Trustee of the Alcohol Beverage Medical Research Foundation (ABMRF), an organization dedicated to supporting research on the effects of alcohol on health, behavior and prevention of alcohol-related problems. He also serves as a member of the U.S. Chamber of Commerce's Association Committee of 100, the ASAE's Key Industry Association Committee (KIAC), the Association Executives Council of the National Association of Wholesale- Distributors (NAW) and the Bryce Harlow Foundation's Board of Governors. 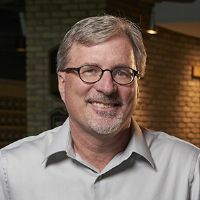 Mike Stevens is a co-founder of Founders Brewing Company and serves as the company's CEO. Founders has made its distinctive mark on the craft beer community by brewing complex, in-your-face ales, with huge aromatics and tons of flavor. It is one of the fastest-growing craft breweries in the nation, currently ranking among the top 20 largest craft breweries in the United States as of 2012. Building the brewery from the ground-up, the pair was forced to spend time in every role -- from bartending to the business office, from bottling to sales. As the brewery expanded and became successful, Mike has transitioned into a corporate-focused role and leads the business side of Founders. Under Mike's guidance, the company has seen its annual barrel output nearly double each of the last seven years while distribution has expanded from seven states to 32. Boston-area native Josh Deth was a novice homebrewer when he caught a lucky break. While studying economics at the University of Michigan, he landed a summer internship in 1995 cleaning kegs at the now-defunct Golden Prairie Brewing in Chicago. Golden Prairie epitomized the shoestring startup brewery operation of the nascent era of craft beer. As a beginner, Josh dutifully cleaned kegs and scrubbed tanks holding such innovative beers as Maple Stout, Honey Ginger and Buckwheat Ale, all perhaps just a bit ahead of their time. A few years later, Josh dreamt up the idea for Revolution while working at Goose Island's Clybourn brew pub as a cellarman and brew pub brewer. After the first few tries at opening a brewery didn't work out, Josh opened the Handlebar restaurant in 2003 with his wife Krista and a few friends. Always one to do more, he also worked as Executive Director of Logan Square Chamber of Commerce. He worked to promote local businesses and manage the Logan Square Farmers Market. While working at the Chamber, he found a cool, old building on Milwaukee Avenue with a nice tin ceiling. The brewery idea bubbled up again. Revolution Brewing opened up in February 2010 after three years of raising funds, dealing with the zoning department, and construction. In spring 2012, Revolution opened its production brewery and tap room opened, producing just over 50,000 barrels of beer in 2014 and continues to expand. Larry Bell moved to Kalamazoo in 1976 to study history at Kalamazoo College, 7 years before opening the homebrew shop that would soon grow into Bell's Brewery. Larry opened Bell's Brewery in 1985 with a 15 gallon soup kettle and $200. Since then, Larry has grown Bell's into one of the largest regional craft breweries in the country. In over 30 years of brewing , Larry has been actively involved in shaping the craft beer industry in the United States. He was the Chairman of the Board of Directors of the Institute for Brewing Studies, sat on the Board of Directors for the Association of Brewer's, and was the Inaugural President of the Michigan Brewer's Guild. He currently is active as an Ex-Officio board member of the Beer Institute as well as a member of the American Malting Barley Association Board of Directors. Larry was honored in 2010 with the Brewer's Association Recognition Award. Larry is also an active member in Kalamazoo and has served as a board member for the Kalamazoo Brownfield Redevelopment Authority, the Economic Development Corporation of Kalamazoo and the Kalamazoo Institute of Arts. In 2010, Larry was presented with the Distinguished Achievement Award from his Alma Mater, Kalamazoo College. Larry spends his time between Chicago, Kalamazoo, and the Upper Peninsula. He enjoys traveling, the Chicago Cubs, and is an active collector of art, breweriana, and maps among other things.